Some special objects have always to be visible even at power blackout, such as exits and stairs, but also signs for fire extinguishers, fire alarm or emergency exits, direction arrows etc. 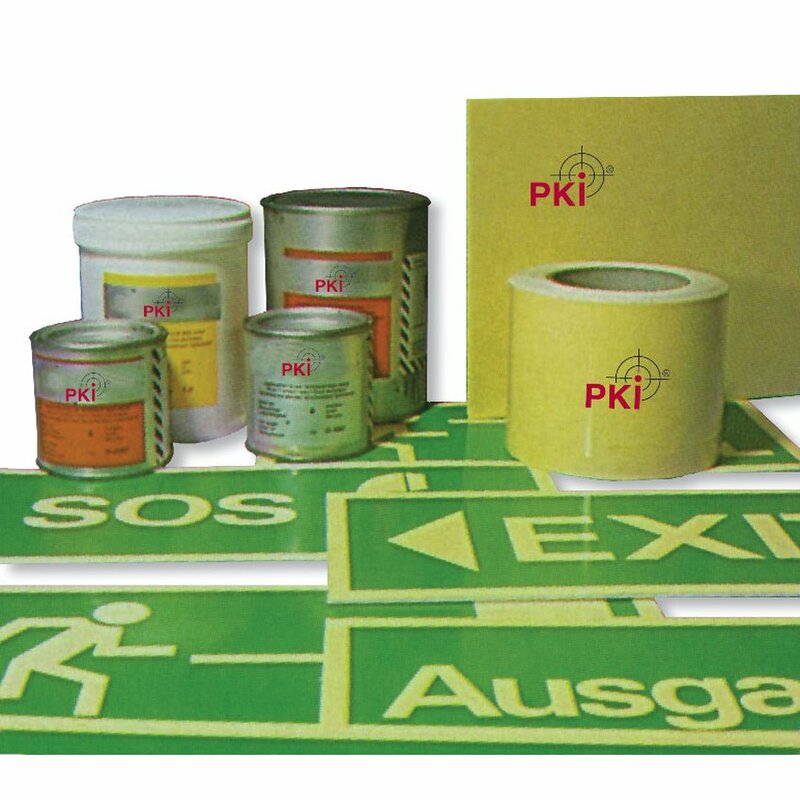 In addition various kinds of signs we also offer self-adhesive fluorescent tapes. Should this still be insufficient we are able to supply fluorescent colour. Even if there is no light anymore this colour afterglows up to 30 minutes. Note: These products can be stored for 1 year.